Notes on Sculpture, SCAD Museum of Art, curated by Amanda York. 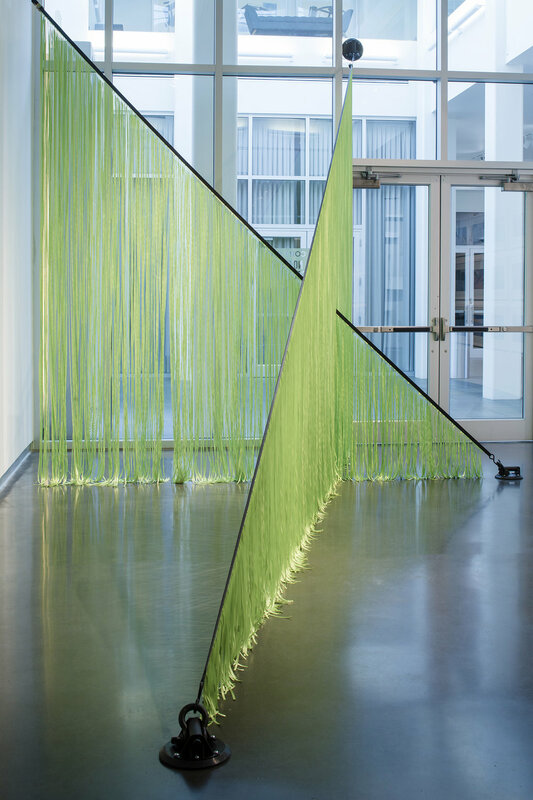 The SCAD Museum of Art presents "Notes on Sculpture," an exhibition by SCAD alumna Cory Imig (B.F.A., fibers, 2008). The artist explores the innate properties of everyday materials in her expansive and changing site-specific sculptures: Balloons deflate over time, stretches of tape adhere objects to gallery walls, long lengths of ribbon dangle and sway. Imig achieves surprising results with these commonplace materials due to her works’ large scale, engagement of repetition and shifting appearance. As Imig states of her practice, “Everything is active, including the space and its inhabitants,” and, similarly, the components of her work continually stretch, pin, affix and react. "Notes on Sculpture" is informed in part by the artist Robert Morris’ 1966 essay of the same name, and consists of a site-responsive installation of ribbon and ratchet straps and a new series of photographic collages. Morris describes the relationship between Minimalist sculpture, the size and position of the artwork viewer, and the gallery’s proportions—revealing how the interrelatedness of these three elements impacts individual interpretations of the work. In turn, Imig’s installation is founded in these considerations and is configured to the gallery’s dimensions. In her collages, Imig eschews concerns of scale and the practicalities of installation that characterize her executed works by laying her sketches over found landscape photographs. The resultant images read as “proposed” landscape interventions. These explore and depart from previous historical artistic practices and series. Inspirations include Claes Oldenburg’s "Proposed Colossal Monuments" (1965–69), playfully outlandish watercolors of oversized objects in improbable urban locations (the middle of a busy intersection, in lieu of the Statue of Liberty, for example), and Christo and Jeanne-Claude’s formalist cloth outdoor works such as "Valley Curtain" (1970–72) and "Running Fence" (1972–76). 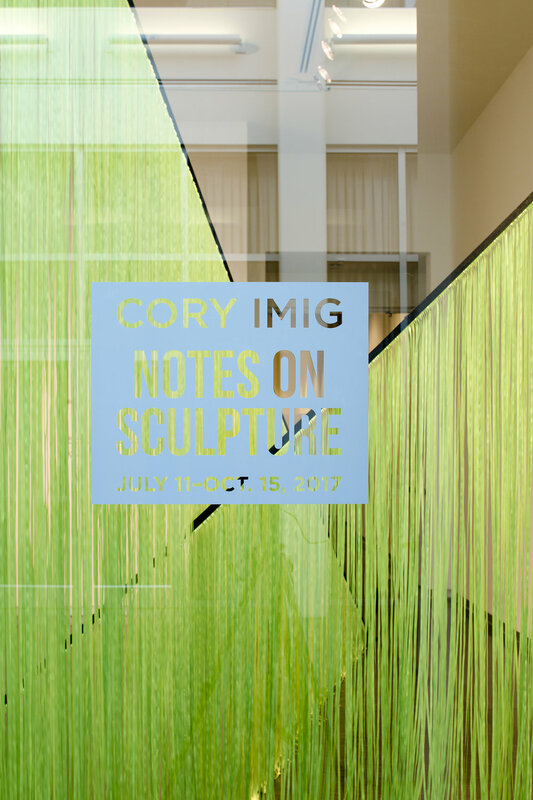 Notes on Sculpture, July 11 – November 5, 2017, SCAD Museum of Art. Curated by Amanda York, SCAD assistant curator. Images courtesy of Savannah College of Art and Design.